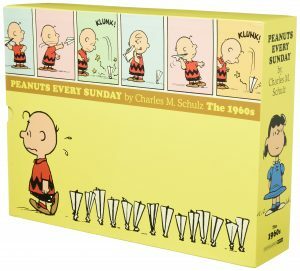 Peanuts Every Sunday 1966-1970 is the fourth in a series of ten big hardcover volumes, each one containing a half-decade’s worth of Peanuts Sunday strips by Charles M. Schulz. The line art has been carefully restored, and then recoloured by Joanne Bagge to match how they originally appeared in Sunday newpapers – no bright whites, but subtly greyer and yellower tones for a mellow, golden appearance. 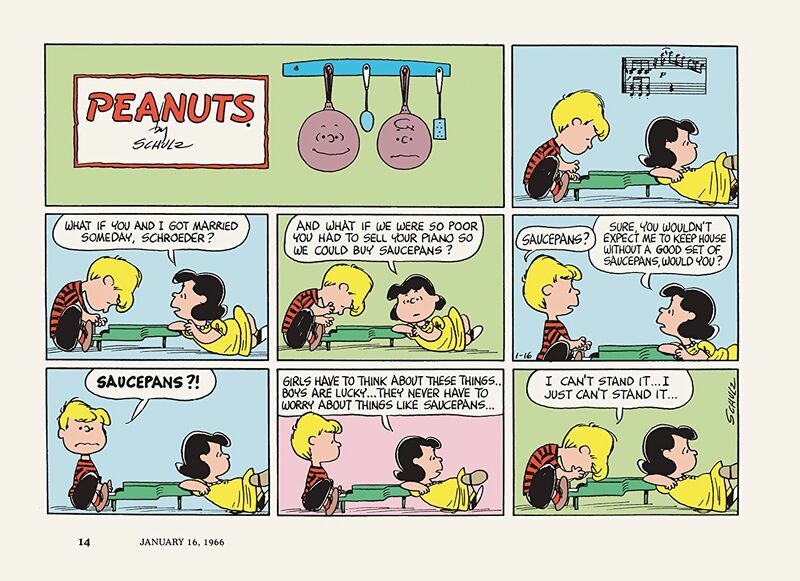 Smaller versions of these Sunday strips are all available in black and white in the Complete Peanuts volumes, but this is the first time they have been reprinted together, or in full colour since their initial publication almost fifty years ago. Modern readers who are used to seeing comics in much smaller book collections and in the tiny spaces allotted to them in newspapers now will be amazed to encounter the massive size of these reprints, a colossal 336mm x 230mm per page. 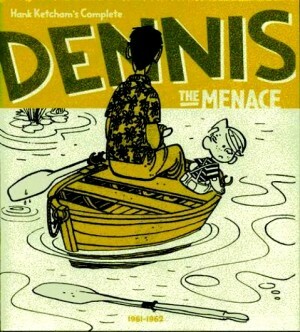 It feels impossibly luxurious to read these strips at this size, but that was the norm for newspaper comics in the USA for most of the 20th century (and some strips were printed on even bigger newspaper sizes than these!) in colour sections that were included along with the regular news content. 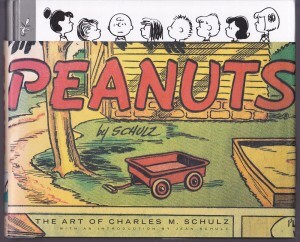 After a decade of writing and drawing Peanuts you could have been forgiven for expecting Schulz to start slacking a bit, but he was just getting started. The second decade was when he really kicked his strip into high gear and began a near-matchless run of inventive storytelling, cartooning, joke-telling, philosophising, theological enquiry and psychological inquiry with hilarious and thought-provoking results. 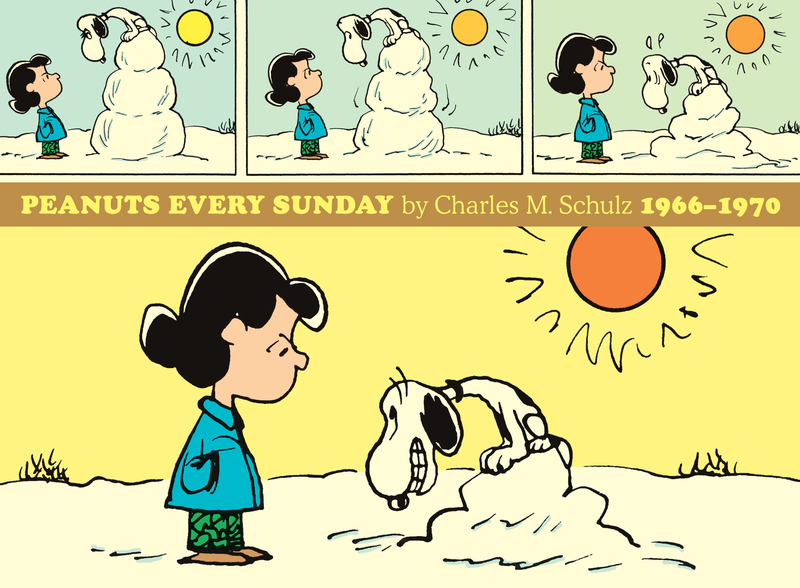 This fourth volume of Peanuts Every Sunday is so packed with great strips featuring all the cast that it would be a greatest hits compilation for most other creators. And there’s more of this astonishing five-star quality work to come in the next volume. 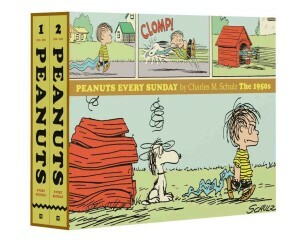 You can also purchase this book paired with volume three as part of a two-volume set in a slipcase, which will give you all of Schulz’s 1960s Peanuts Sundays in one box.